Pietro Carbone I am validating that this coupon works correctly as described. Simply add the items you want to buy to the cart or bag, then apply the promotional code and you will get this limited time offer. 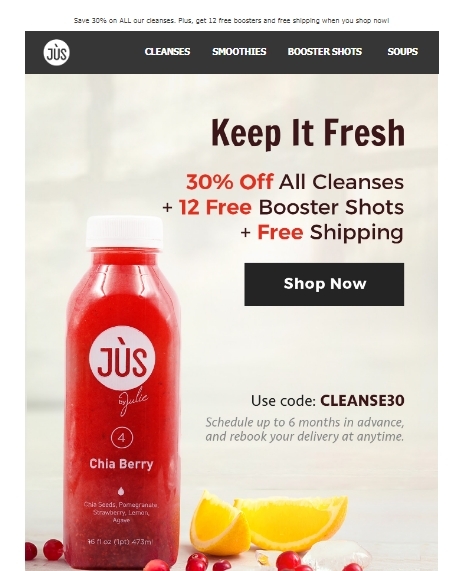 Gabriela Brito Use the promo code CLEANSE30 to get 30% off all cleanses, 12 free booster shots and free shipping. Simply enter the code during the checkout process to apply this discount. Some exclusions may apply.